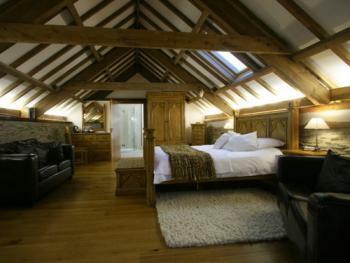 This beautiful suite is nestled in the eaves of the old Grain Store. 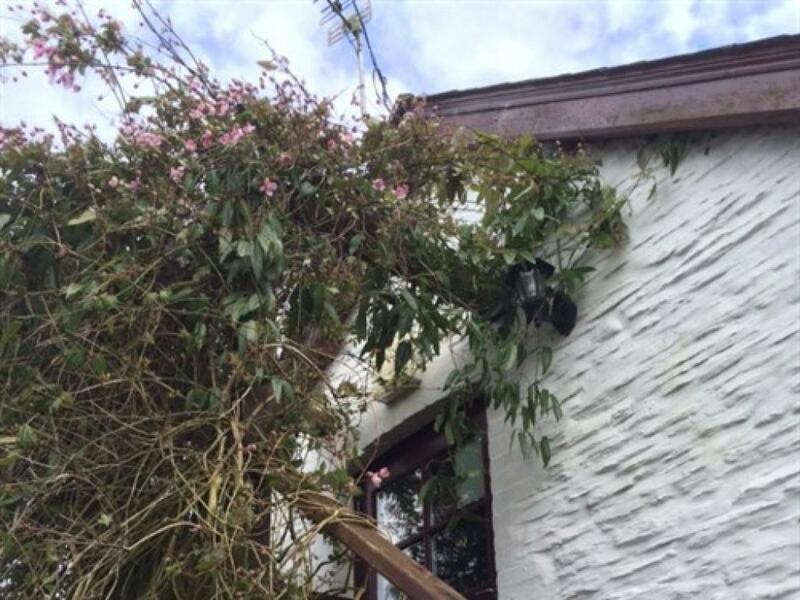 It is accessed via its own original, private Welsh Slate external staircase. Its oak floors are warmed by under-floor heating, and dressed with real wool rugs for a cosy environment. 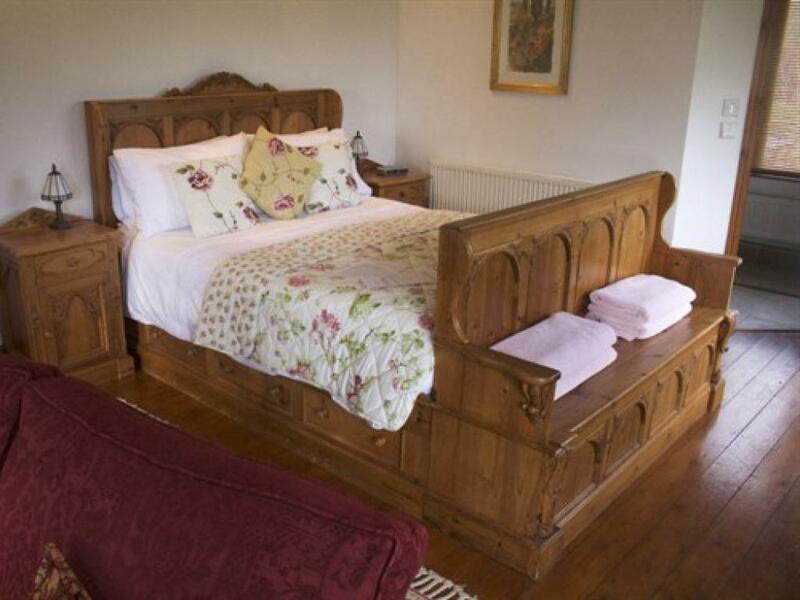 It offers carved solid wood furniture with a kingsize bed and a 42” plasma flat screen television & dvd player. Hairdryer and hospitality tray. 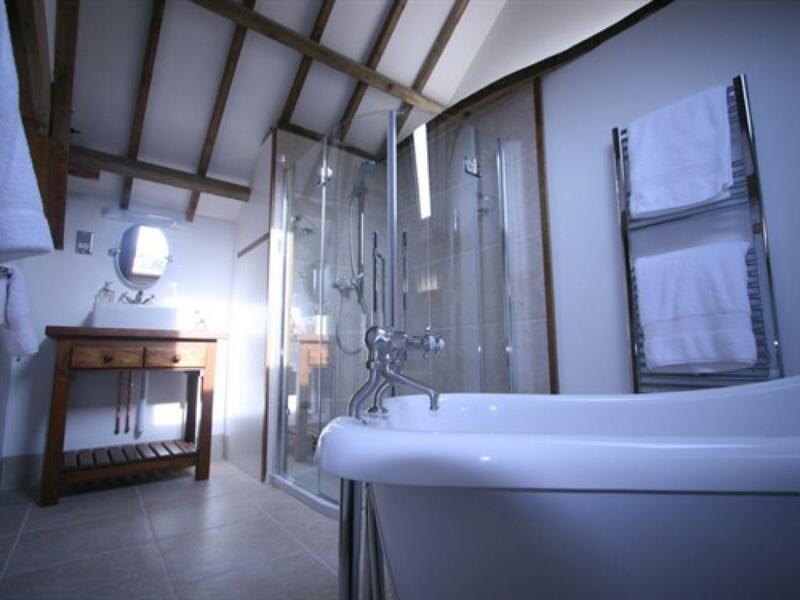 The bathroom features a roll top bath with Rowe and Perin fittings to relax in and a Grohe dream shower to invigorate. We offer a full array of bath salts and soaps from Damana, soft bathrobes and towels. This room is located on the ground floor and offers beautiful panoramic views and independent accessibility with its own parking space and private, level entrance and balcony. 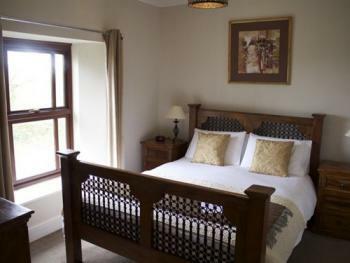 Tastefully furnished, the Garden Suite offers a kingsize bed and a cosy couch for curling up with a book or watching the TV. Thick, soft towels and a walk-in power shower make this is an excellent choice for customers with mobility difficulties. There are also tea and coffee facilities. A pet can also be accommodated – a one-off cleaning supplement applies. Please enquire. 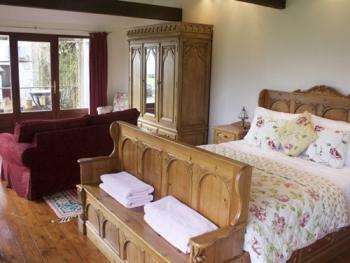 There is also room for a put up bed for children. 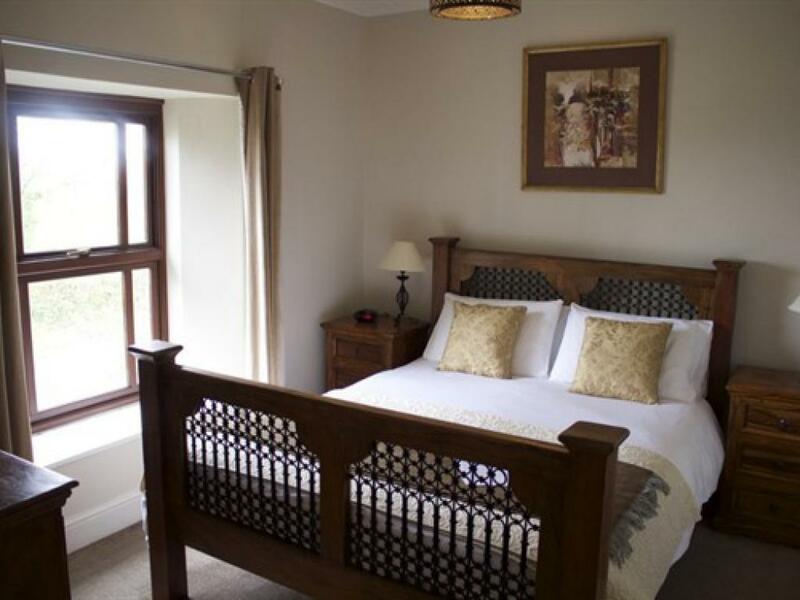 A delightful room with a dual-aspect view over the Vineyard and rolling countryside, the Primrose room offers a King size sleigh bed, 22” LCD flat screen TV, hairdryer and tea and coffee making facilities. 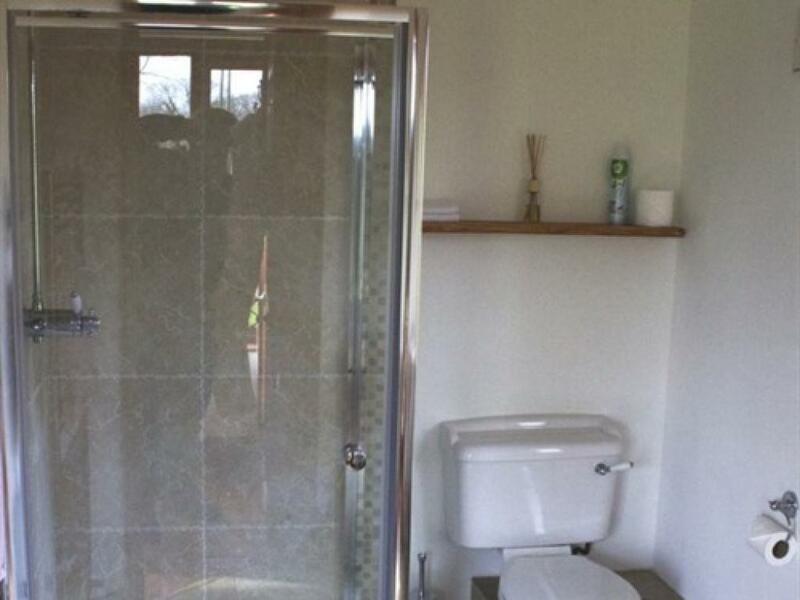 The en-suite bathroom offers a Mira sport shower with bath, wash hand basin, WC, plump towels, bathrobes and Damana toiletries. 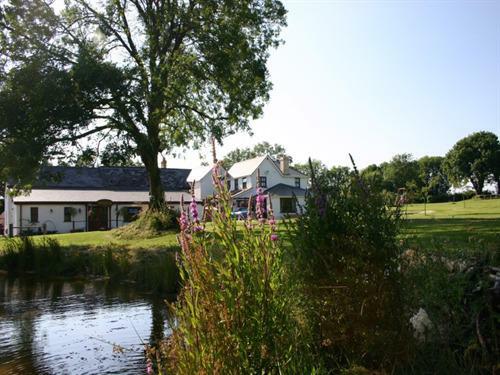 Over 150 years old, this former Welsh farmhouse with its carriage house, stable, grain store and milking parlour was a drovers' staging post. It has since been lovingly transformed into a unique fine dining retreat, complete with a vineyard. Original stone buildings have been sympathetically converted into luxury accommodation and fine dining restaurant, making Jabajak a bespoke hospitality provider for corporate or personal privacy, weddings or romantic weekends, or an ideal base to explore the tourist attractions in Carmarthenshire, Pembrokeshire, and Cardiganshire. 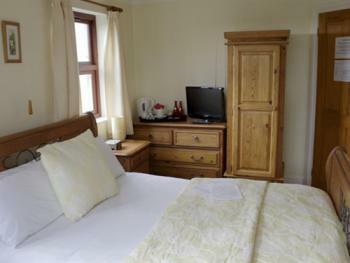 Come just to eat, or treat yourself to a relaxing break in one of Jabajak's rooms or suites. 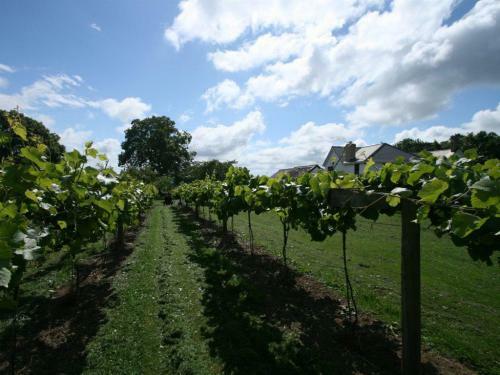 Unwind with a stroll in the vineyard where red kites often visit, then relax in the lounge bar and enjoy international wines or real Welsh ales before joining your table for dinner. 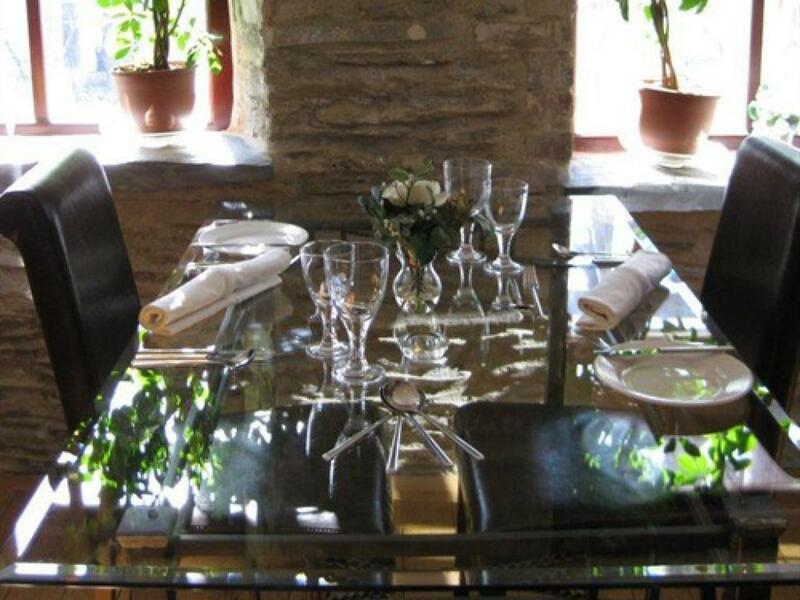 All our dishes are cooked on the premises using fresh, seasonal, local produce, wherever possible. 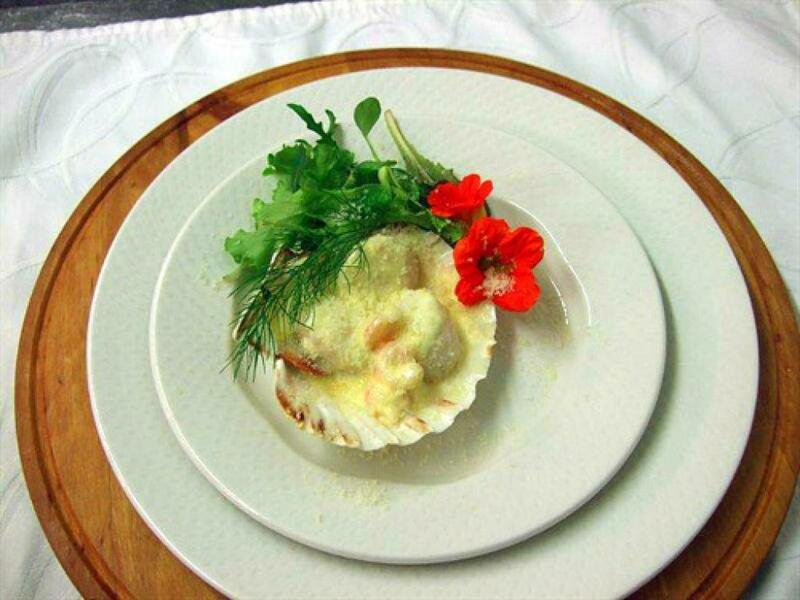 Our chef will ensure you enjoy dishes of exceptional quality and taste. 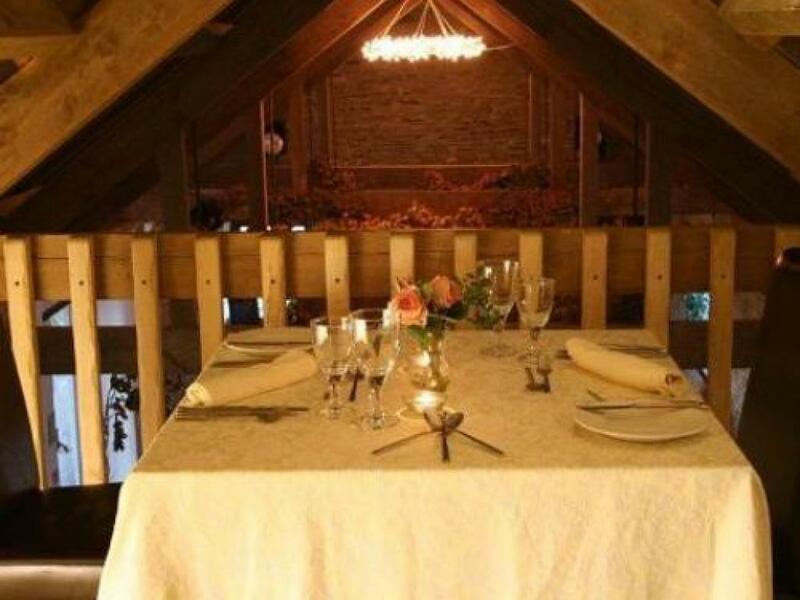 For complete privacy, reserve the truly romantic Nook which nestles in the eaves of the restaurant, on its own balcony. A wonderful place for proposals! 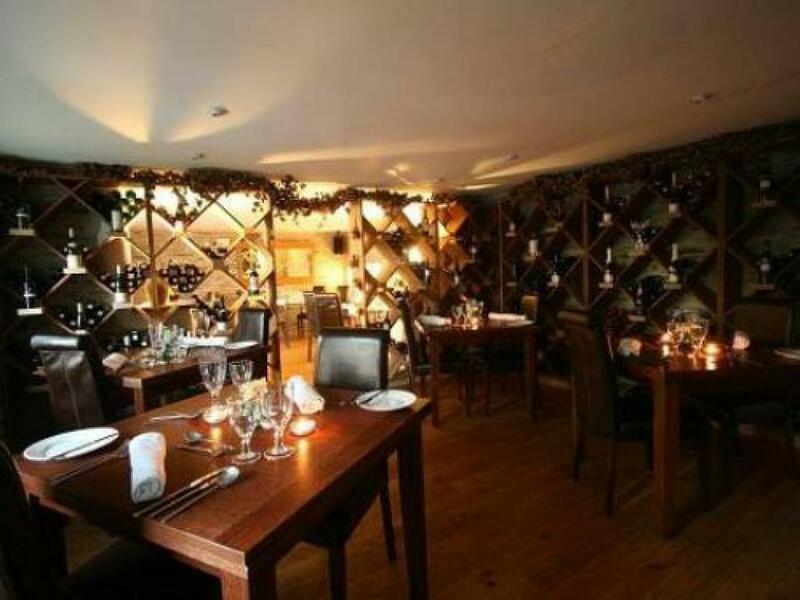 Jabajak is ideal for a private function like a special birthday party or anniversary. 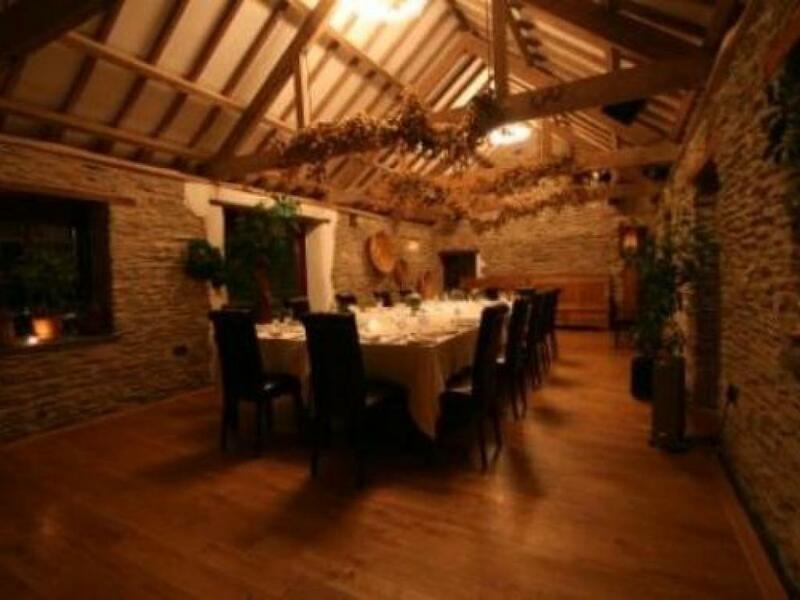 You can book the Granary Restaurant to seat up to 12 people or the private Banqueting Suite with its own decked garden area seating up to 60. Follow main traffic signs for Fishguard harbour for 38 miles, untill you arrive at Llanboidy roundabout on A40, north of Whitland. Take third exit signposted Llanboidy and follow for 3 miles where we are situated on your right. DO NOT USE SAT NAV. Follow A40 signposted Carmarthen, untill you reach Llanboidy roundabout north of Whitland. 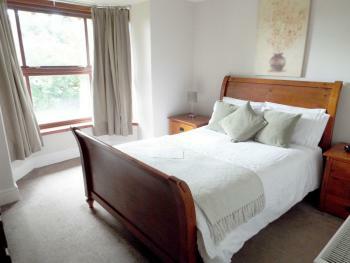 Take first exit signposted Llanboidy and follow for 3 miles, where we are situated to your right.